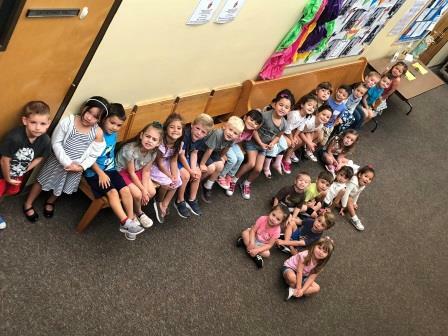 Our non-profit preschool provides a safe and nurturing Catholic environment where children can learn and explore through developmentally appropriate activities. Classes are from 8:30 - 12:00 noon and meet either 2, 3, or 5 days a week. An adult family member is encouraged to volunteer in their child’s class. No experience is necessary but you must complete the Archdiocesan Safe Environment Workshop. We recognize the importance of building a faith foundation for our preschoolers. We pray, we visit the church, and learn to love God and others. We'd love to have your child as part of our school. Please call to schedule a tour! 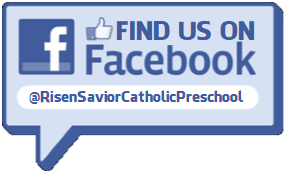 The Archdiocese of Santa Fe Catholic Schools use their own curriculum and standards to guide instruction. 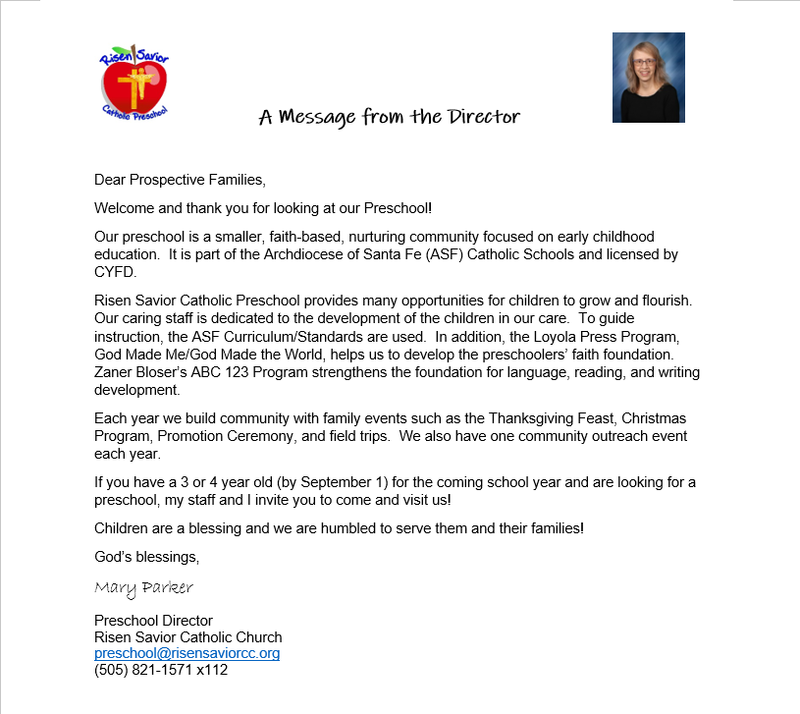 Our Preschool uses Loyola Press "God Made Me" and "God Made the World" and Zaner Bloser's "ABC 123" to build foundations in faith and early reading skills.